Apparently, their unopened flowerbuds can be pickled and used like capers. Adore these african flowers (superb pattern here). Not loving the fact that it is from Marks and Sparks so there is a distinct possibility of bumping into an 80 year old woman wearing the same one! Hope your weekend is full of things you love. loving all the colours in that blanket!!! 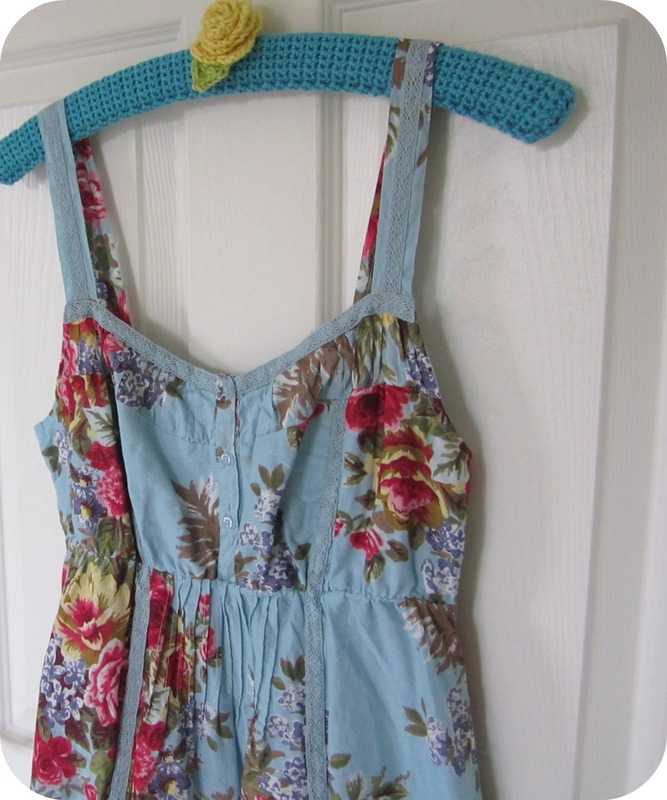 Ooooh, love the crochet!! And the doggy!! My sweet peas aren't anywhere near flowering yet!! I had three plants last year (my first ones) and this year I planted 36!! 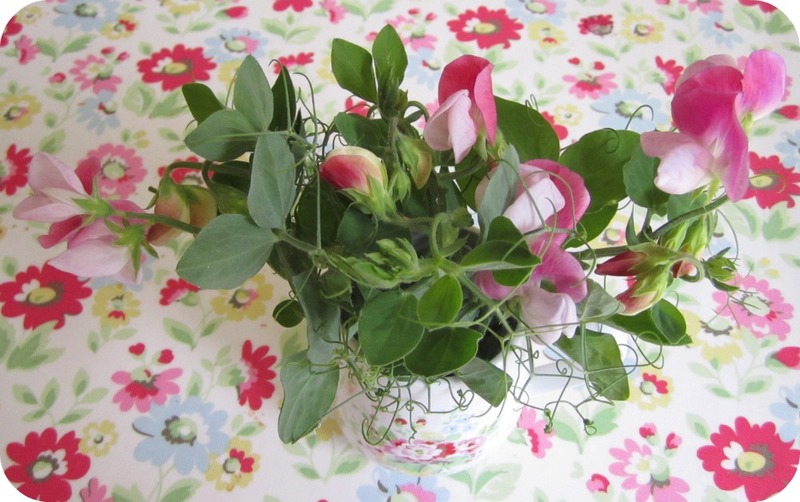 The smell of sweet peas is one of my favourite ever scents. Lush. Simply lush. I LOVE that dress, what gorgeous colours. Bit like your roses against the blue fence. I now insist you take a pic of you in said dress with fence and roses all in view and I bet you will be camouflaged!!! Have an amazing weekend, and seriously, thanks again for my package today. After a few mad days, it was just the tonic! Love this blog post, and just noticed you have the same CK duvet set that I have been blogging about - not sure if I should buy the duvet!! Your crochet is amazing, I am in awe! 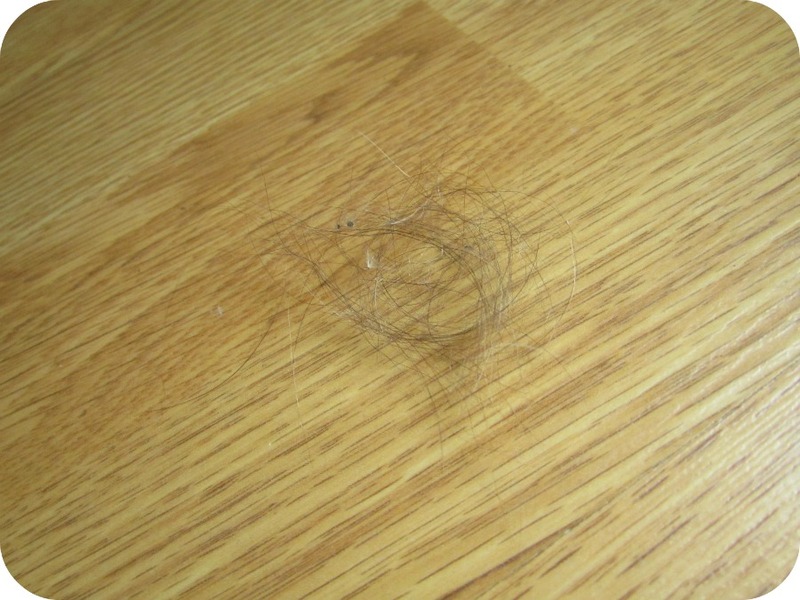 P.S pets are great, but the hair on the floor is blummin annoying! Lovely post. 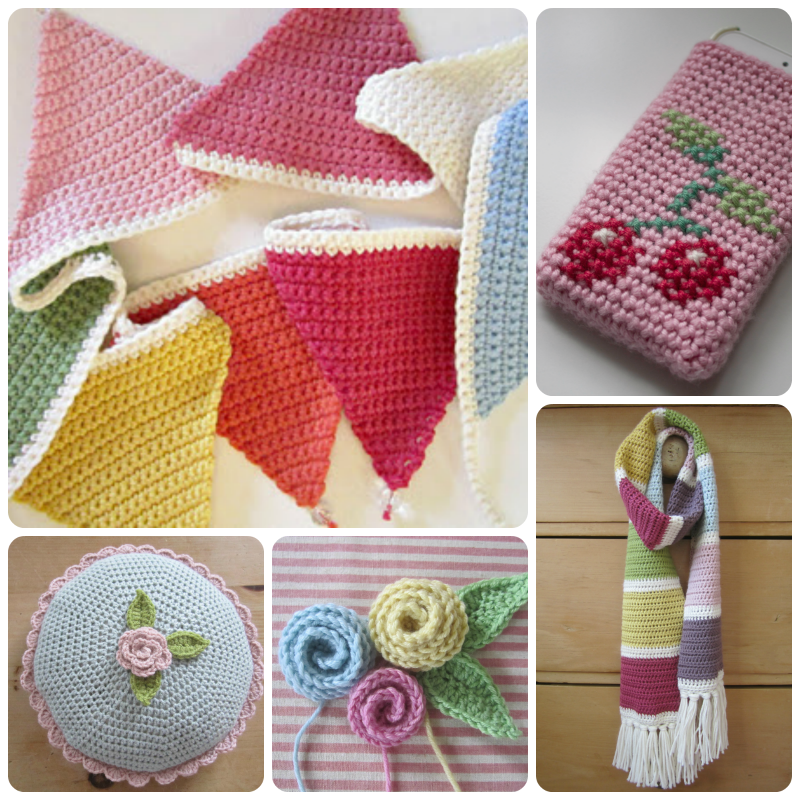 Crochet, how you do taunt me with your colourful stitchy loveliness. ONE day I will master you! Lovey blankie. Will grow and grow and be all-encompassing soon. Great photos of garden too. Lovely photos. Loving the blue fence. What a CUTE pup!! He's so furry. I love it!! 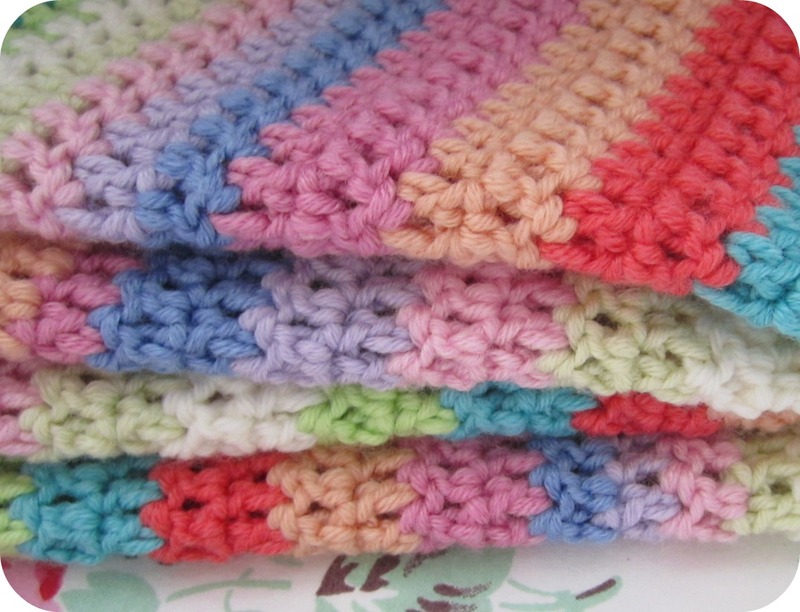 The blanket you're crocheting is lovely...it makes me think of candy. Great colors. 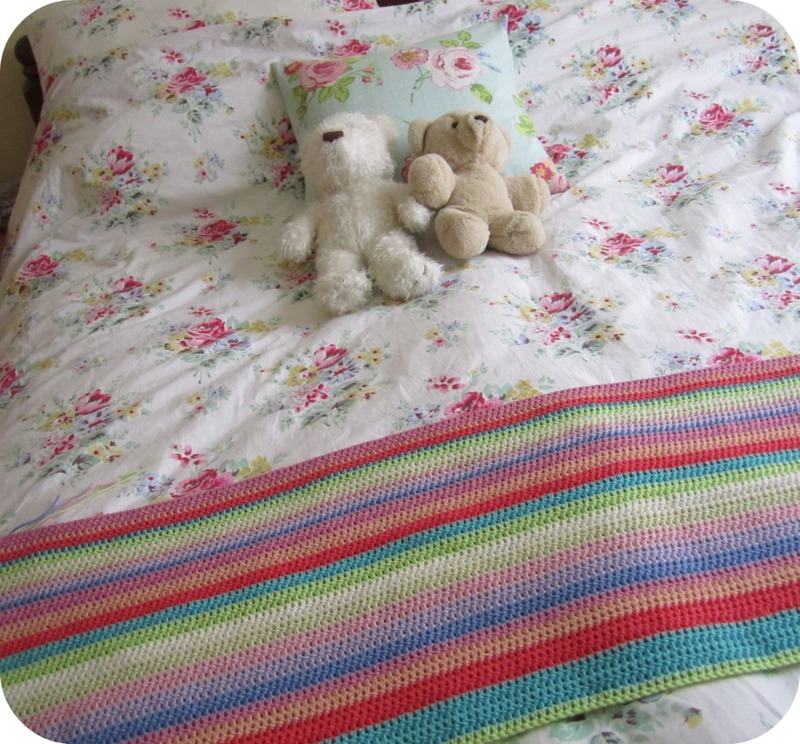 You stripy blanket is looking fab as well! Awesome flowers and patterns. It is such best collection and looks very beautiful. I like flower pattern, I sure it took a month for totally completing. Love that dress - it looks more Joules than M&S. 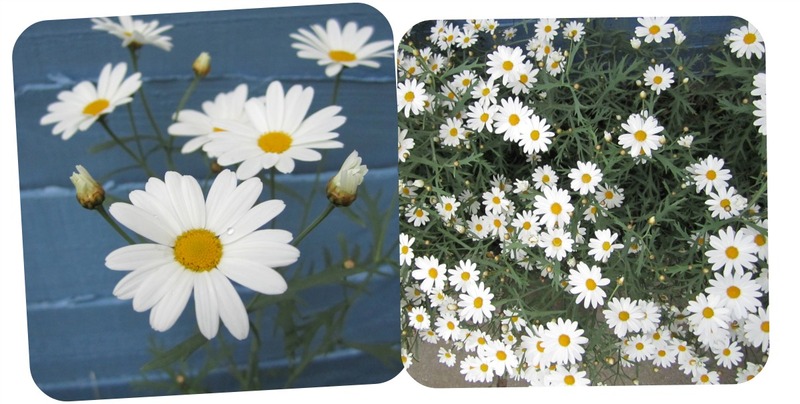 And I really, really love those daisies and roses. How happy am I for coming across your blog! your crocheting is beautiful and such lovely color combinations. Pure happiness! What a fun post and your blog is beautiful. I came over from Helen Phillips and will definitely be back for another look. I'm going to have a go at those african flowers, they look so pretty. I love how colourful and bright your photos are. Do you have a good camera or do you just take them on especially bright days? I can't get good photos at all. 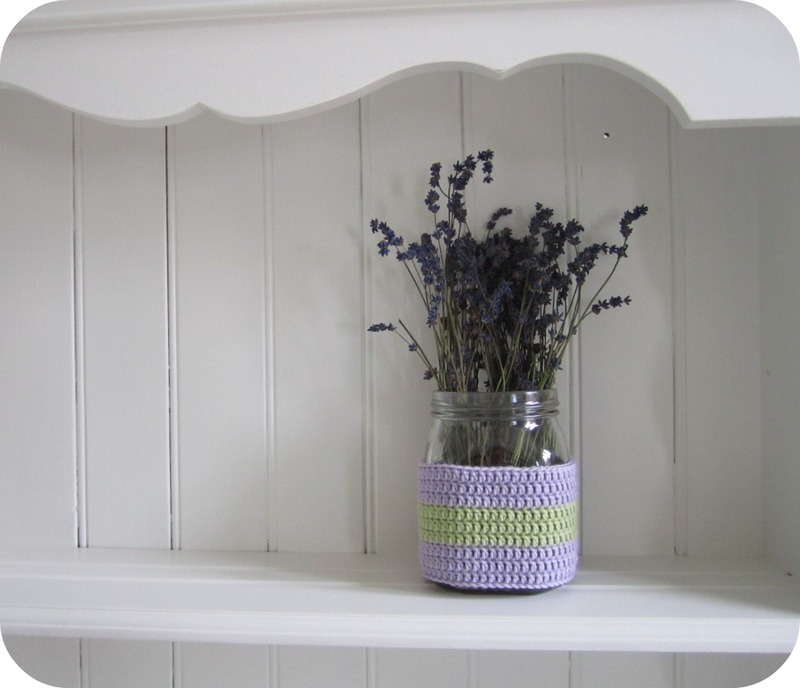 I love the lavender too, it looks so beautiful and simple on the dresser there. Glad I made you giggle with my 'pretending to be the cleaner' story. Can't believe I got myself in such a pickle. That'll learn me! Ha! Gorgeous crochet, dog and dress! Your blanket is lovely - really pretty colours. 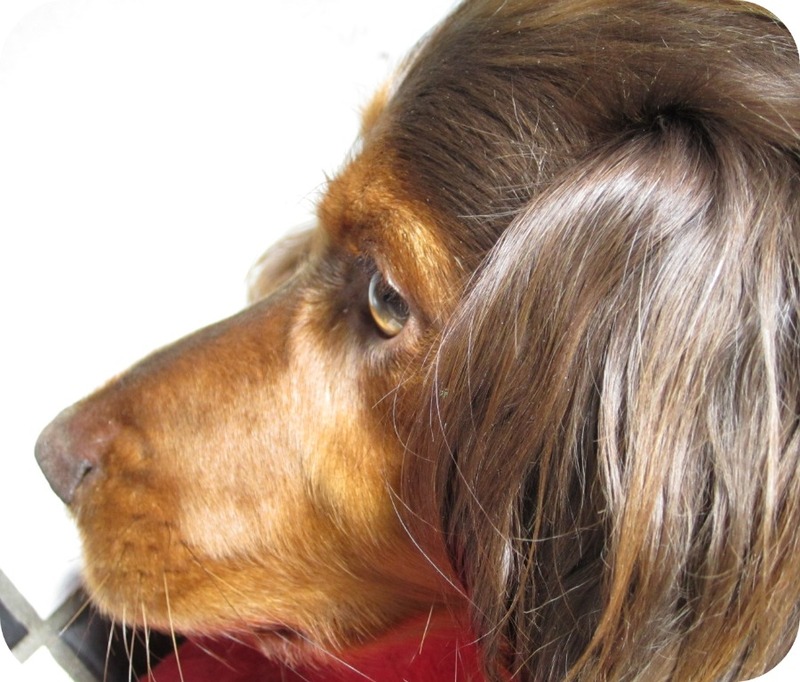 I can sympathise about the dog hair - especially in the moulting season, which for a labrador seems to be most of the year! The curry was at Feast India on Melton Rd btw - you should go if you haven't already. It's amazing! 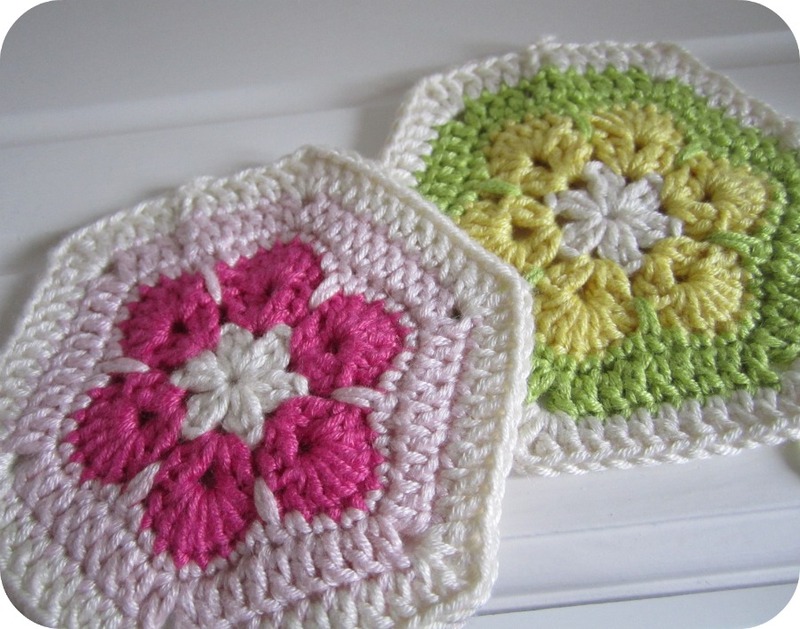 I love all your pretty and colourful pictures - the rose is so beautiful and your stripey crochet blanket and big crochet flowers look really gorgeous! Your post is pure eye candy! 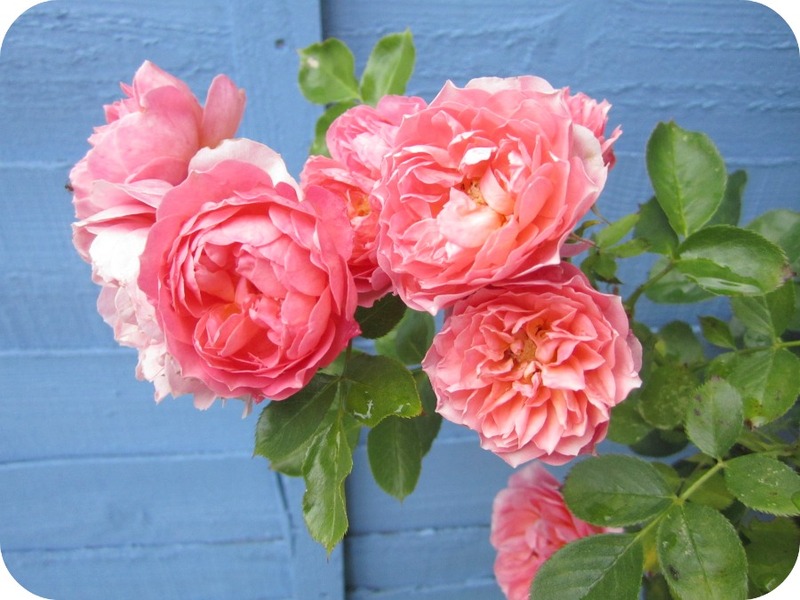 Love this post,your garden photos are wonderful, especially your beautiful pink rose against the blue fence. Also loving your crochet you clever girl! The colours in the blanket are so pretty. Beautiful dog - but i know what you mean about the hair "tumbleweed" although in this house its cat hair as our dog being a poodle doesnt moult! Hello! Found my way over here through Bunny Mummy. What a nice place to visit! :D Beautiful pictures. Adore the flowers against the blue wall. Will spend more time over here browsing around, checking out every little dusty corner. You make lovely crochet creations. Happy to have found you. HAHAHA! I call them tumble weeds too =P I have three cavvies. Have fun in Spain! 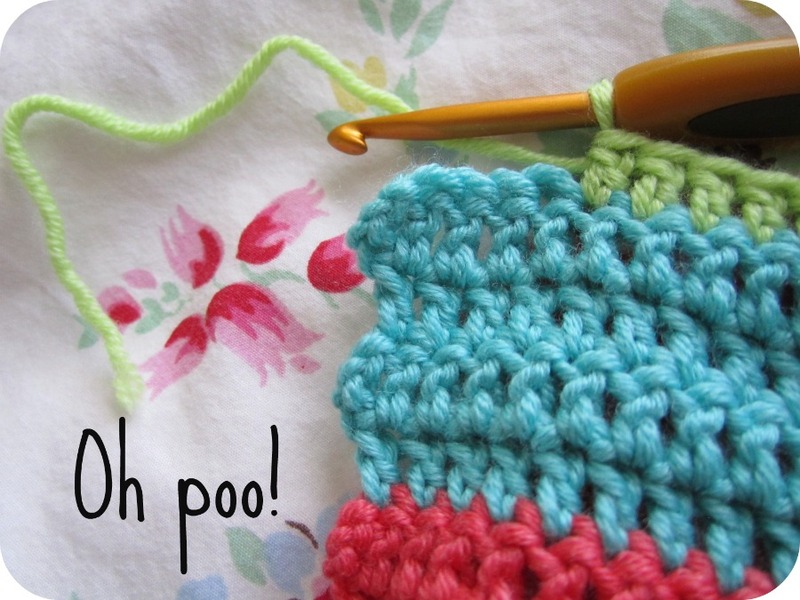 Loved catching up on all the colorful crochet you have been doing. Eye candy of the best flavor!